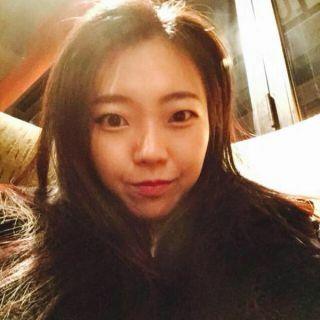 Tempo Storm has parted ways with its South Korean player Hyerim ‘MagicAmy’ Lee, following what’s described on the team’s website as “a full blown investigation, gathering a large amount of evidence from dozens of sources including former employers, ex-teammates, fellow players, and personal friends.” The statement regarding her departure is here. The investigation was triggered by claims earlier this week, made first by disgraced former teammate Eric ‘Specialist’ Lee, and then by two pros on Team Dignitas, which questioned the identity of MagicAmy. Those claims were followed by separate accusations, one made by another high level player, the other by the founder of Prismata, calling her character into question. "Hyerim’s performance and accomplishments as a player have been called into question due to the possibility of account boosting and win trading. Tarei was identified as a possible accomplice under suspicious circumstantial evidence, such as when she posted a picture showing an account named LoveMagicAmy as rank #1, indirectly implying it was her achievement. Later it was confirmed by Tarei that he used his own account and then renamed it to LoveMagicAmy. This brought up the question whether she was taking credit for other’s ranks, or if she was getting assistance to reach high legend. We looked into this issue as far as we could, but were not able to produce proof that someone else was responsible for any of her high legend rank finishes. The only people who truly know the answer are Blizzard and the involved individuals." "On a side note, win trading is an unlikely scenario considering how aggressively Blizzard banned notable win-traders, including Specialist, the spark of the entire controversy. They even accidentally falsely accused players. It feels safe to assume Blizzard would have caught such an action between Tarei/Hyerim or anyone else if this were the case." "This finding also relates to the alleged botting allegations, because we could not figure out exactly how her account remained untouched throughout the ban waves despite its high profile and activity. Again, whether she is clear of these allegations or not is an issue that we cannot determine, It would require action to be taken on Blizzard’s end to determine the matter." Inevitably, there will be those (looking at you here, r/hearthstone), who assume the worst based on her decision not to appear at a LAN event. But equally it’s perfectly reasonable to imagine that she may simply not relish the thought of having to provide proof of concept for her own existence and ability in a high-pressured live environment. Ultimately, and despite over 1,000 words of explanation, we’re left little the wiser in terms of what has actually occurred here, beyond the certain knowledge that the mess will be a setback for women competing in top-flight e-sports. The mantle for writing MagicAmy’s popular ‘meta snapshot’ articles will now pass to Tempo Storm’s Hyped, who I expect will do an equally excellent job.